Nearly a year after two men pitched the St. Helens City Council an offer to build a private campground on Sand Island, the council is closer to finalizing an agreement with them. 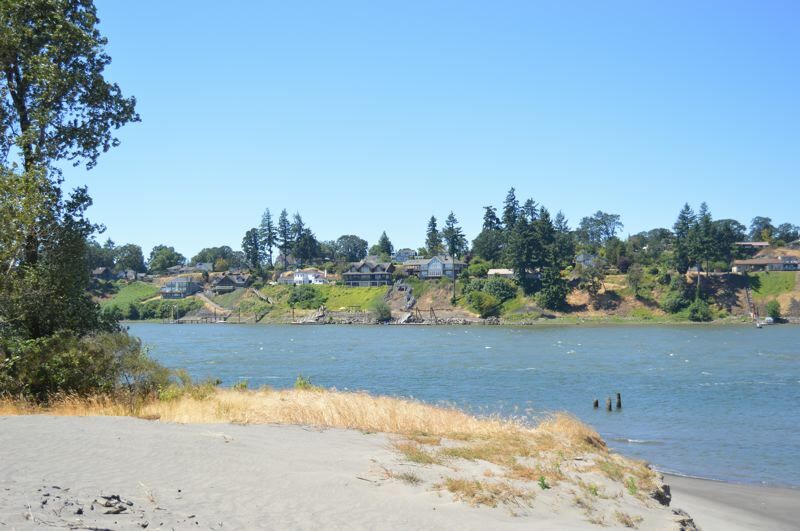 The City Council tentatively approved a lease agreement with two St. Helens residents, Brad Hendrickson and Andrew Niemi, who are planning to operate a private campground and day-use area on Sand Island, and have scheduled a forum on April 3 to field public feedback on the proposal. Brad Hendrickson, who operates the St. Helens Marina, and Andrew Niemi, owner of Lower Columbia Engineering, came to the city last summer with a proposal to operate the city's Sand Island park and provide shuttle boat service to the island. Currently, St. Helens owns and operates Sand Island Marine Park. The 20-acre island park has 37 unmarked campsites, nature trails, composting toilets and boat docks. Additionally, the city owns a 22-foot pontoon boat, which Hendrickson and Niemi are proposing to use as a shuttle boat to get campers back and forth from the St. Helens marina and the island. Over the next 5 to 10 years, Hendrickson said the duo is hoping to expand the park's campsites, add small cabins, build more restroom facilities and possibly offer rental boats. "We're planning to add quite a bit to that island," Hendrickson said. Hendrickson said it's taken about eight months to get the lease paperwork completed, which hasn't left much time to create an overall park development plan, he explained, but the goal is to have it ready for campers by Memorial Day weekend. The lease requires the adoption of operational rules similar to state park standards. Nightly camping will be $30 a night, which will include boat shuttle service. The campgrounds will be open seasonally from Memorial Day weekend to Labor Day, and a camp host will live at the park during that season. Hendrickson said he is looking forward to developing recreational activities on the island going forward. "We've had the marina for 23 years now and have looked at it and have never seen anything there, so we're excited to develop something," he said. Per terms of the proposed lease, Hendrickson and Niemi established a limited liability company, St. Helens Sand Island Campgrounds, to operate the site. The lease would allow Sand Island Campground to operate for 10 years, and make yearly lease payments of 10 percent of gross income for the prior calendar year. After 10 years, the lease can be extended for two additional five-year terms. Hendrickson and Niemi will be required to submit any construction plans for new structures or parking spaces to the city for approval. The City Council voted 4-0 on March 20, with one councilor absent, to authorize the lease for signature. The council is holding a public forum at 6 p.m. Wednesday, April 3, to hear feedback from residents about the proposed partnership and park development before final lease approval. The forum will be held in council chambers, 265 Strand St., St. Helens.